Summer is my favorite season for so many reasons… warm sunshine, longer daylight hours, green trees and grass, beautiful gardens and flowers, and the abundance of fresh fruit. Peaches are one of my favorite Summer fruits. They smell so good and can be used in a variety of delicious home-baked goodies. 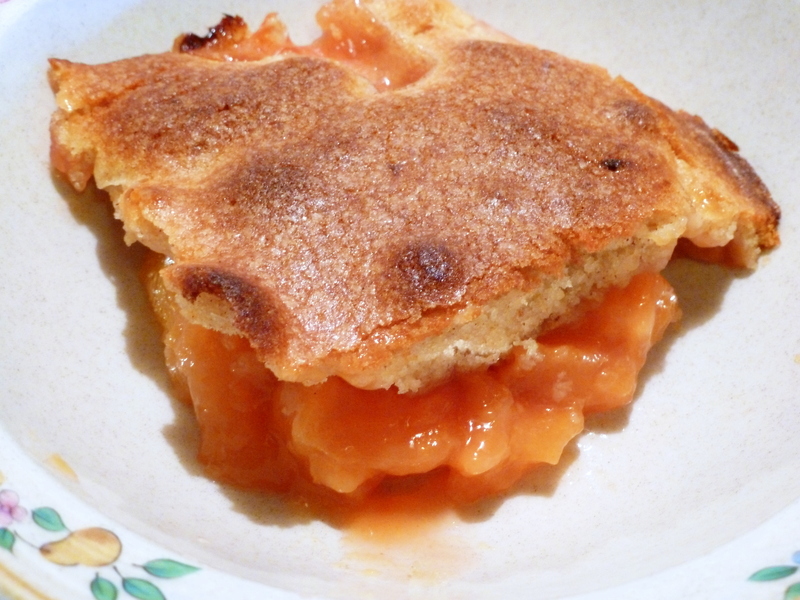 I purchased some beautiful, ripe organic peaches this past weekend, and went back and forth on whether I should use them in a pie or cobbler. 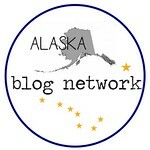 As you probably noticed by the title of this blog post, the cobbler won out. If you’re looking for a yummy treat to make this weekend for a barbecue or picnic, may I recommend making this incredibly easy, yet very delicious Peach Cobbler. 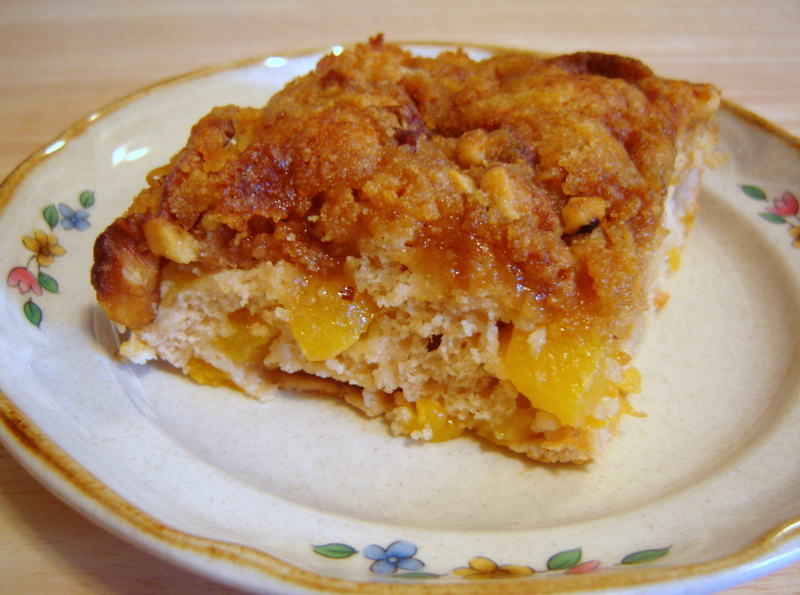 The fresh peaches are so flavorful, and the crust is crisp and light. 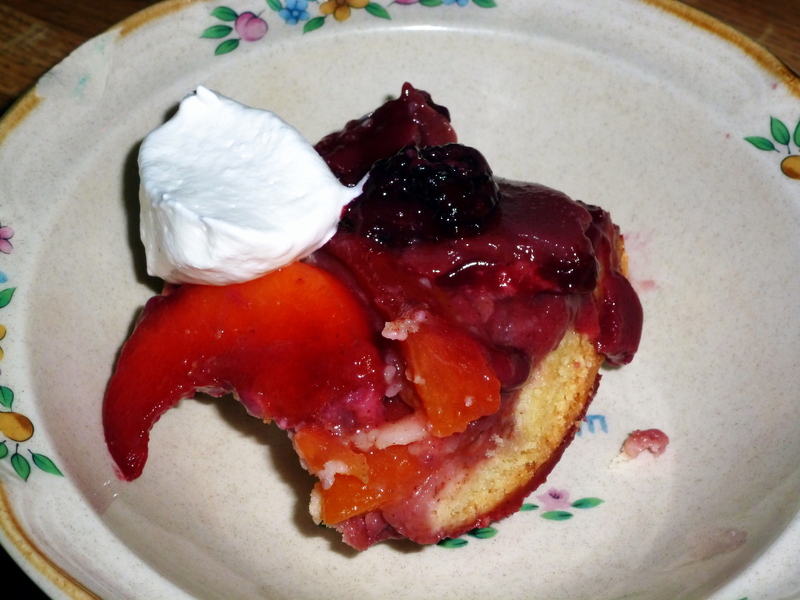 This cobbler is wonderful enjoyed “as-is”, or you can pair it with ice cream or top it with whipped cream. Whichever way you choose to enjoy it, I’m pretty sure you won’t be disappointed by this quintessential Summer dessert. Preheat oven to 375° degrees. Butter the bottom and sides of an 8-inch square baking pan. Peel, halve, and pit the peaches. Slice each half into 3 or 4 wedges. In a large bowl, combine the peaches, 1/4 cup of the sugar, and the cornstarch. Let the fruit sit in the bowl for 5–7 minutes, stirring occasionally until the sugar dissolves. In a medium bowl, combine the flour, baking powder, salt, and cinnamon. Set aside. In a large mixing bowl, cream together the butter and remaining 1/2 cup sugar until smooth. Beat in the egg and vanilla. Add the flour mixture and stir until just combined. 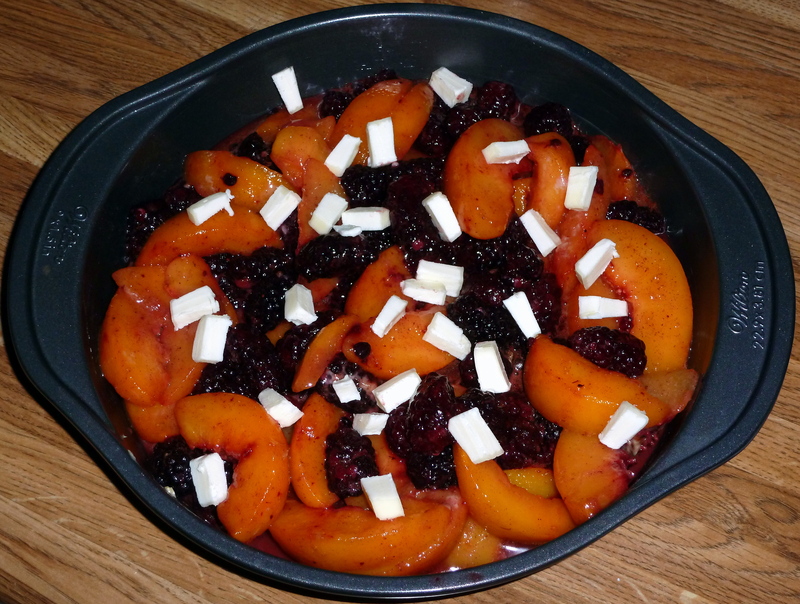 Place the peaches in the prepared baking pan. Drop the dough by rounded tablespoonfuls over the fruit, and smooth into an even layer. 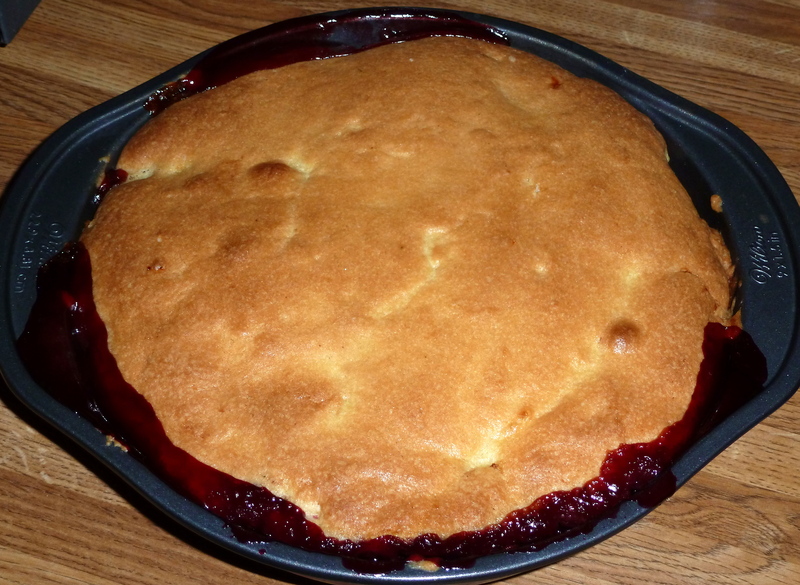 Bake for 40 to 45 minutes, until the fruit is bubbling and the crust is golden. 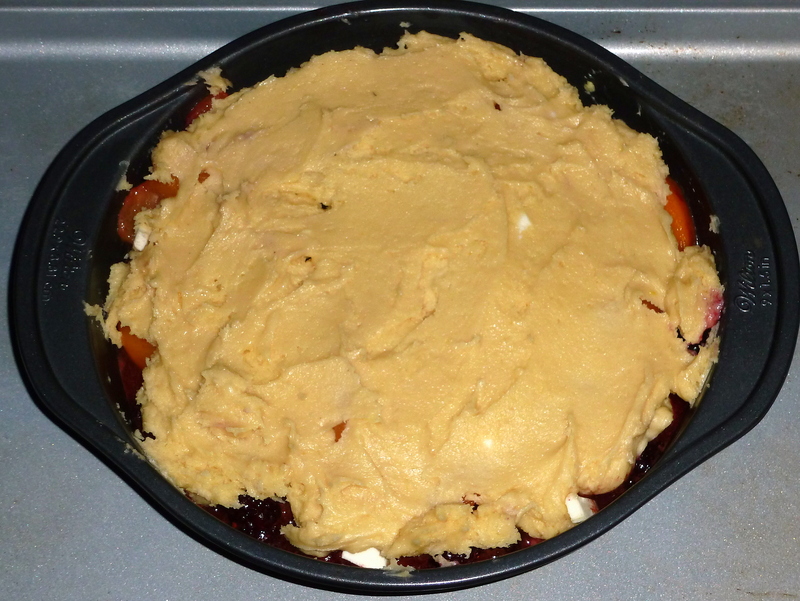 Remove from oven and place the cobbler on a wire rack to cool slightly. Serve warm. One of my favorite weekend activities, is to head down to our local Barnes & Noble bookstore, pick up a Chai Tea Latte in the cafe, and then browse through the bargain book section in the bookstore to see if there are any new cookbooks I can’t live without. Preheat oven to 375 degrees. Grease and flour a 9-inch square baking pan. In a small glass or bowl, combine Ener-G Egg Replacer and warm water. Stir well. Set aside. In a medium bowl, combine Bisquick, milk, egg replacer, sugar, cinnamon and vanilla extract. Stir until well blended. Add peaches and stir just until blended. Pour batter into prepared pan. For topping, combine Bisquick and brown sugar in a small bowl. Stir until well blended. Add nuts and butter. Toss gently (do not break up small pieces of butter). Sprinkle evenly over batter.